There is Market Place Test Kit you can use to test likely of your application accepted by the marketplace. 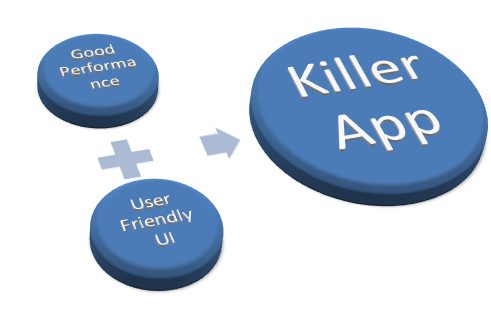 Measuring performance of your application should be always the essential task of your application creation life cycle. 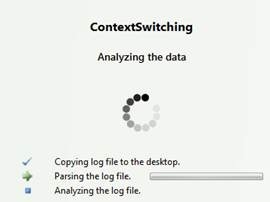 You get performance analysis tool by either pressing ALT+F1 or selecting it from Debug menu option. 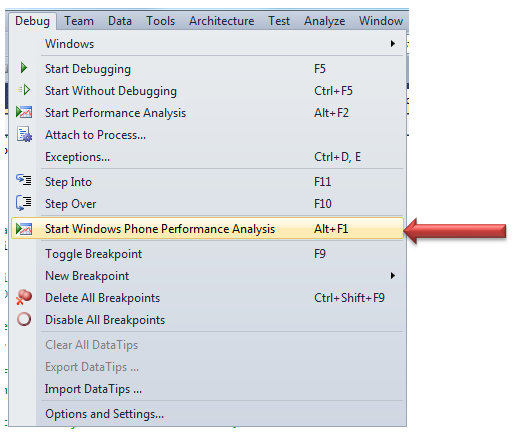 Just after clicking on Start Widows Phone Performance Analysis, you will get an empty performance log created for you in the solution explorer. Choose your option and click on Launch Application. Application will be launched with performance analysis. 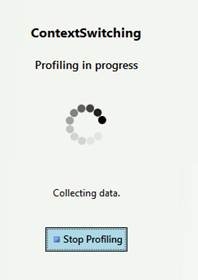 Come back to visual studio and click on Stop Profiling. You will get progress messages that analyzed data is being created. 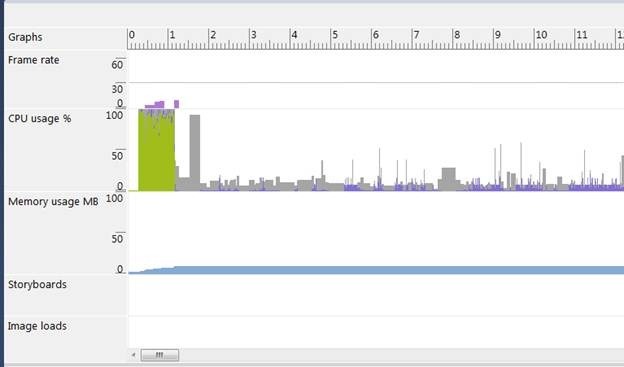 Frame Rates provides information about number of frame redrawn each second. This information is only available when display UI is getting updated. 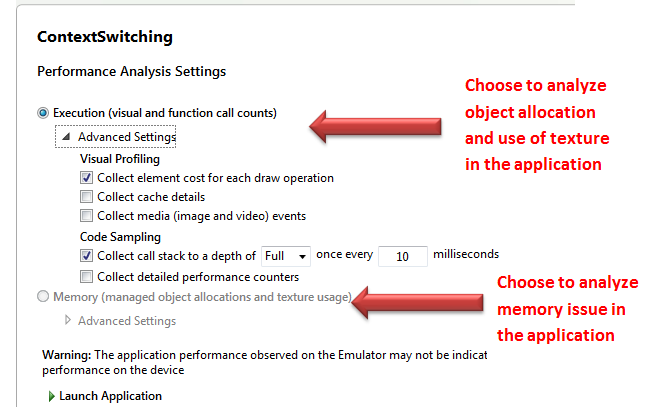 Windows Phone 7 application should have 30 to 60 second frame rate per second. 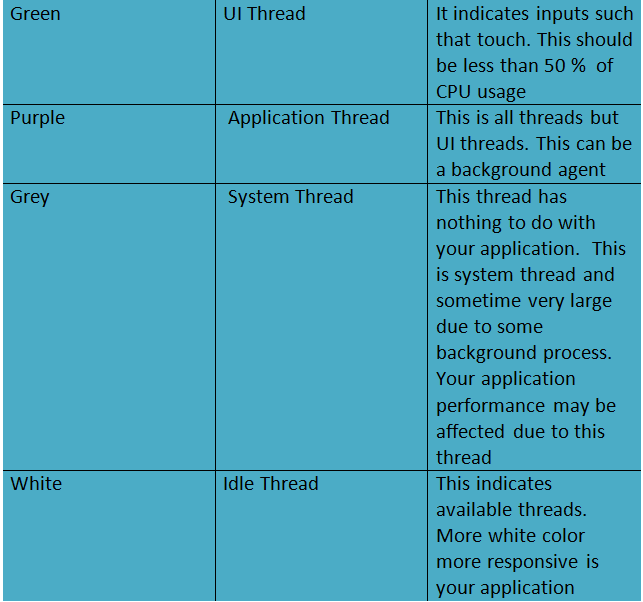 In CPU usage there are four colors and each color have their own significant meaning. Storyboard gives information about animation in the application. There are two types of animation and represented by two different colors. Image loads says about image load as assets into the phone memory. GC events say about when garbage collector collects free memory. If you find my blogs useful you may like to follow me on twitter http://twitter.com/debug_mode or may like Facebook page of my blog http://www.facebook.com/DebugMode.Net If you want to see post on a particular topic please do write on FB page or tweet me about that, I would love to help you. 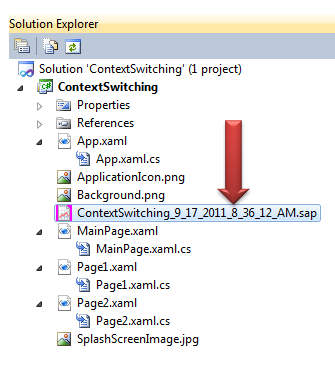 Previous PostUpload Image from Silverlight to Azure BLOB using WCFNext PostROSLYN: Complier as Service ? The memory analysis option is greyed out, any idea why?